For those of us in the Northern Hemisphere, cold weather is upon us, and the holidays are enveloping us. 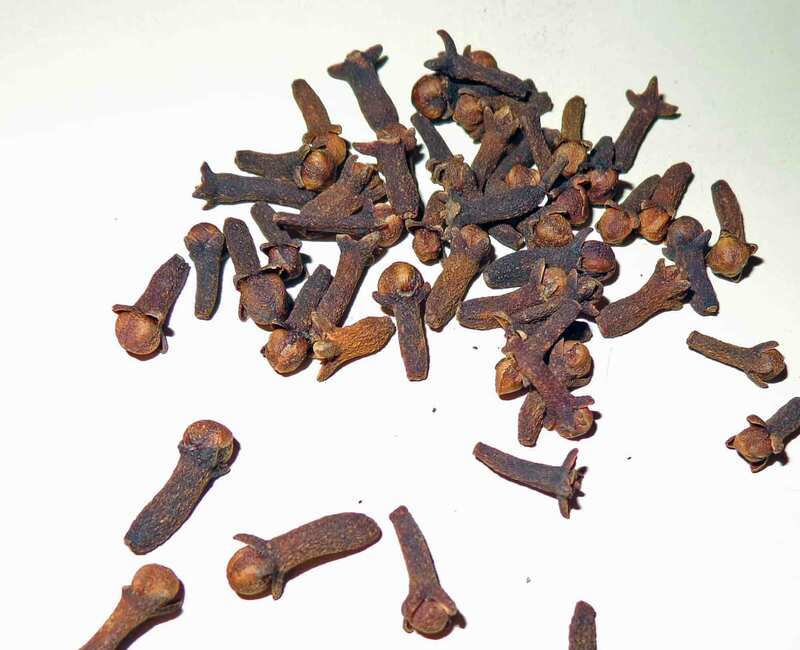 Cloves have long contributed to winter fun. An orange stuck full of clovers is a fragrant addition to Christmas decorations. Christmas hams are often stuck with clovers. The spice goes sweet or savory. However, sweets probably offer the most common encounter with cloves during the holidays. Cloves have long been favorite elements of spiced or mulled wines and ciders. The term “mull,” referring to a beverage, appears to have first come into use around the year 1600. The origin of the term in this context is unknown, though there are some theories. However, in this application, it simply means a drink that is sweetened, spiced, and heated. Mulled wine is a warming treat of a winter night. Enjoy. Put spices, lemon peel, orange peel, brown sugar, and water in a 2 quart sauce pan and bring to the boil. Reduce heat slightly and simmer for 2 to 3 minutes. Add the lemon and orange juice, then stir in the wine. Heat gently–you do NOT want the wine to boil. Ladle into cups or heat-proof glasses. (The kind of fancy glassware you’d use for Irish coffee would work well here.) Serves 6-8.